In this article, we describe part of an action research project carried out during a classroom-based art course at a higher education institution. We gave the students themed collaborative drawing assignments, with the purpose of achieving a rich picture of what they associated with the notion of “going to the opera”. They completed assignments before and after attending a guided tour and a ballet performance at a famous opera house. We aimed to address two main research questions: a) How can the students’ understanding of opera and ballet develop through their experience of a ballet performance? 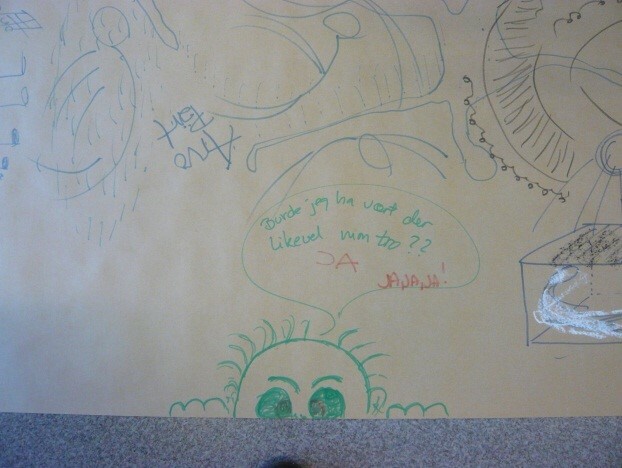 and b) How can drawing activities in the classroom support collaborative learning and the students’ personal development? The data gathered involved three main elements: 1) the rich pictures themselves, 2) the teachers’ observations of the students and 3) the students’ reflections on the process. The study points towards a significant transformation of the students’ representation of the concept of opera, as illustrated in their drawings. We discuss how the students’ drawings may reflect their development in terms of attitude and their newly acquired knowledge of an artistic genre they knew little about, and suggest new avenues for further research.